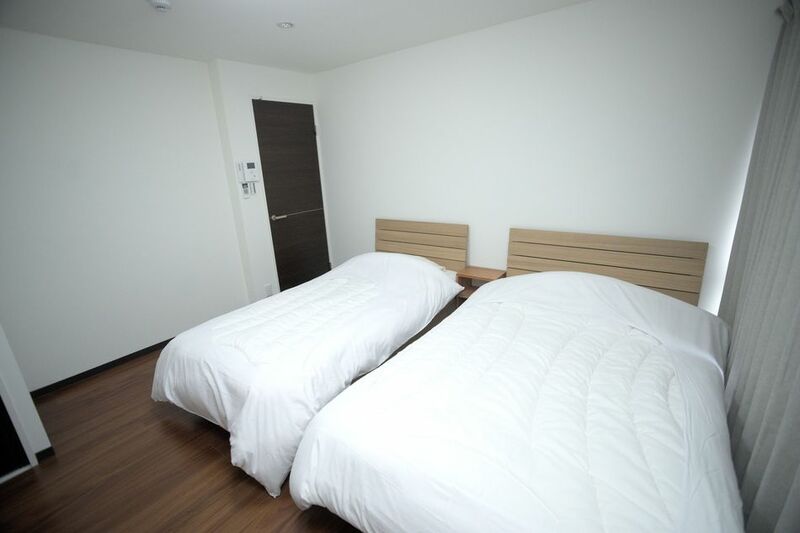 "Found this excellent, comfortable, very clean, well-appointe..."
Have a question for Guesthouse Kotoya Kyoto Station? "It was very quiet and clean so I took a good rest." "Linens and towels are provided for the whole stay, also garbage plastics and nearby garbage collector." "Excellent, low-key, clean, all the facilities you need, with..."
Designed for both business and leisure travel, Guesthouse Kotoya Kyoto Station is ideally situated in Kyoto Station; one of the city's most popular locales. Set 3.5 Km from the excitement of the city, this 3-star hotel commands an excellent location and provides access to the city's biggest attractions. With its convenient location, the hotel offers easy access to the city's must-see destinations. Take advantage of a wealth of unrivaled services and amenities at this Kyoto hotel. For the comfort and convenience of guests, the hotel offers free Wi-Fi in all rooms, 24-hour security, convenience store, laundromat, Wi-Fi in public areas. Guests can choose from 14 rooms, all of which exude an atmosphere of total peace and harmony. Besides, the hotel's host of recreational offerings ensures you have plenty to do during your stay. 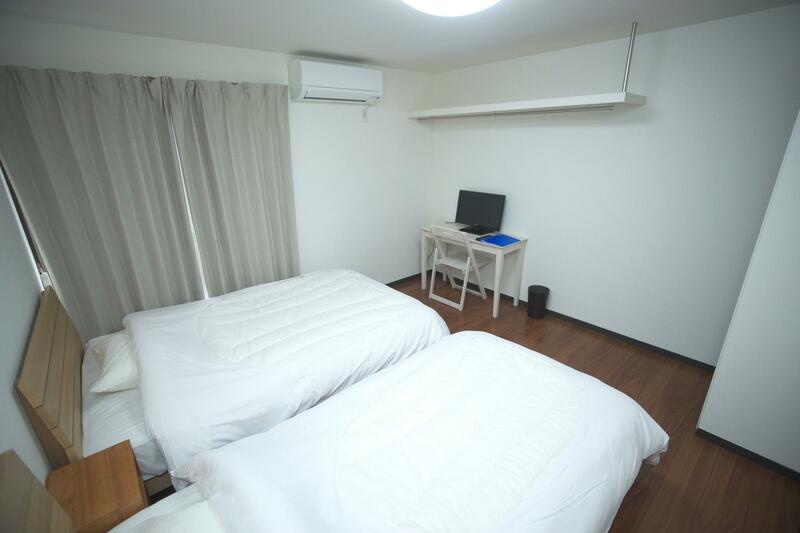 Guesthouse Kotoya Kyoto Station is an ideal place of stay for travelers seeking charm, comfort and convenience in Kyoto. "It is located short distance away from the main road, so ver..."
The rooms are incredibly clean and surprisingly spacious. Near to Kyoto Station and very easy to find. Loved our stay in this place! Toilet is separated from shower, which we found so convenient. Would definitely stay again if we go back to Kyoto! This is the largest room I've ever stayed in Japan. If you stayed at Japanese hotel once, you will know how narrow it can be. This apartment is the best you can find at this price. 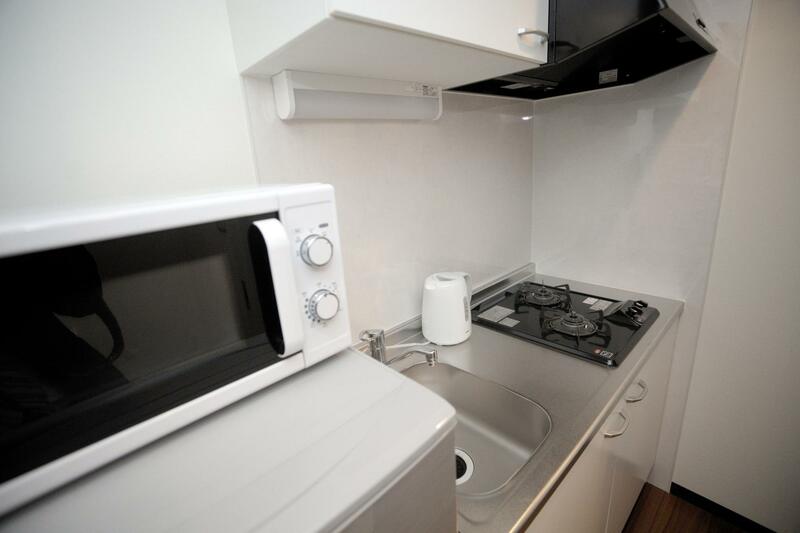 What you'll get is a studio-like apartment with toilet, shower room, kitchen and even with free washing machine. It's less than 1km to Kyoto JR, very convenient. Recommend to everyone who travels to Kyoto. About 10mins walk from Kyoto station, easy to find. It is located short distance away from the main road, so very quiet. The room is spacious and clean. There is a washing machine inside the room and free for use, clothes can be dried in the bathroom overnight. This is an excellent location for the train and bus station and close to Aeon Mall, where you can buy cheap meals, even cheaper after 8 p.m. as everything fresh is reduced. Staff is exceptional and speak English. We would definitely stay here again. The room is spacious and you have everything you need. The location is actually very good, a little walk from kyoto station, convenient with many convenient shops along the road. The staff are superb! So helpful and i am really gald i chose this one. I will definitely recommend to others and stay again! Thanks! We were impressed with the hotel as the accomadatons were roomy and more than we expected. It was great having the washing machine in our unit, as well as a microwave and fridge. The Aeon mall is a short walk away as are the train and bus statons. We would definitely stay here again. I would recomend this to tourist who are staying for 3 days or more. The feeling is like the one of a small apartment. The staff is there to help and try their best to make you feel confortable. It is really close to Kyoto station and if you want to rent a bicycle, there are place really close from the guest house where you can make a rental. I wish to comeback soon! It was a day, but I had a great time. It was a little difficult for many to find the opposite exit rather than the exit from Kyoto station, but after finding the exit, it took only 10 minutes to find a place along the main road. It was very quiet and clean so I took a good rest. We arrived into Kyoto station after 7pm and booked this guesthouse so that we could be situated close by and also save on the first night's stay (as ryokans are pretty expensive). The guesthouse was a pleasant surprise; conveniently located approx 7 mins walk from Kyoto station. Our room was laid out more like a mini apartment with a separate toilet, shower, washing machine and small kitchen area. The room was bigger than it looked in the pictures, and pretty spacious! All in all, good value! We loved our stay here! The guest house was clean and new. Mostly important the rooms were big! It's quite close to Kyoto station. If you're walking from Kyoto station with a lot of luggage you'll see some steps but right next to it there is a bicycle path which you can use to push your luggage. We will definitely come back and stay here! Pros: Good location. Near Kyoto station. Near halal restaurant. Convenience store nearby. Clean room and friendly staff. Cons: No plates, bowl or cutlery. Microwave available but no bowl to contain the food. It's an amazing guesthouse. It makes me remind to my life when i studied graduated program in US. The facilities is very good. 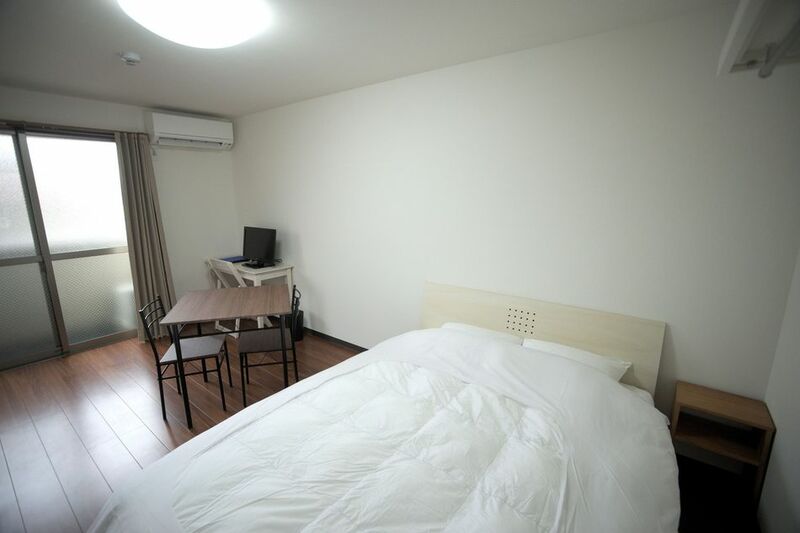 The room is very clean and spacious. I do love this guesthouse. The only weak point is it's a little bit far from the station. The walk is a bit long from station but easy and straight. Even though it's next to train tracks and the noise is quite loud outside, we couldn't hear any of it inside. The room itself was surprisingly large with good facilities. Slept really well there. Quite a distance walk from Kyoto station to the guesthouse. Staff are friendly and helpful. Quite far from kyoto train station.15-20 min walks. Apartment condition is good and very comfortable.Complete with everything you need. Best to explore kyoto by renting a bike, there's a bike rental not far from the guest house.